Deep-fried vegetables is a simple, cheap and very nice tasting dish. It is made with a beignet dough. 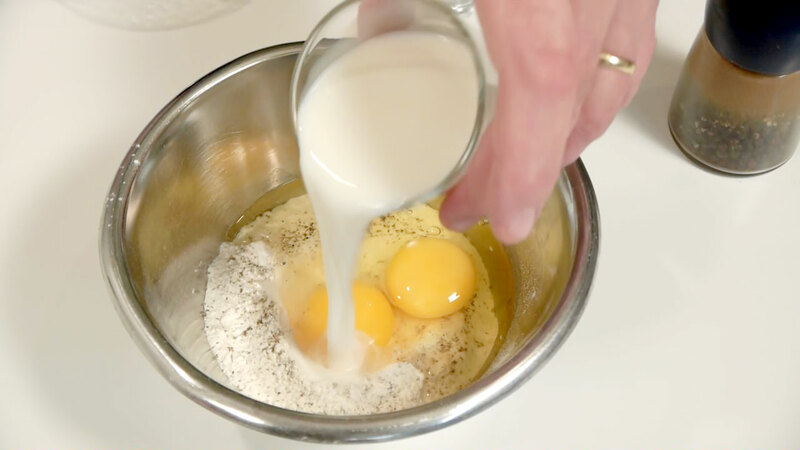 Beignet dough is at the same time also very suitable for double crumbing. It holds on really well to the breadcrumbs. Tempura is the Japanese name for a beignet dough. In principle beignet is just a little thicker pancake batter. at least 1/2 liter (2 cups) oil for deep frying - preferably 2 liters (2 quarts) in a large saucepan. Mix all ingredients until there are no lumps. Cut slices of onions to make thick rings, dip in the batter and fry. Is also good with cauliflower, mushrooms and whatever else you can find of vegetables. The only concern is that there must not be too much water in them. Otherwise, they will splatter the oil all over. All types of meats that are less than 1 cm (½ inch) thick, are also suitable. Instead of milk you can use water or beer. The beer brings a little more flavor and also makes the dough more airy. You can add 1 shot vodka too. Vodka boils at a lower temperature than water, so it generates a lot of steam, thereby also making the dough more airy. You can add 1/4- 1/2 tsp baking powder in the dough. this will also makes it more airy. 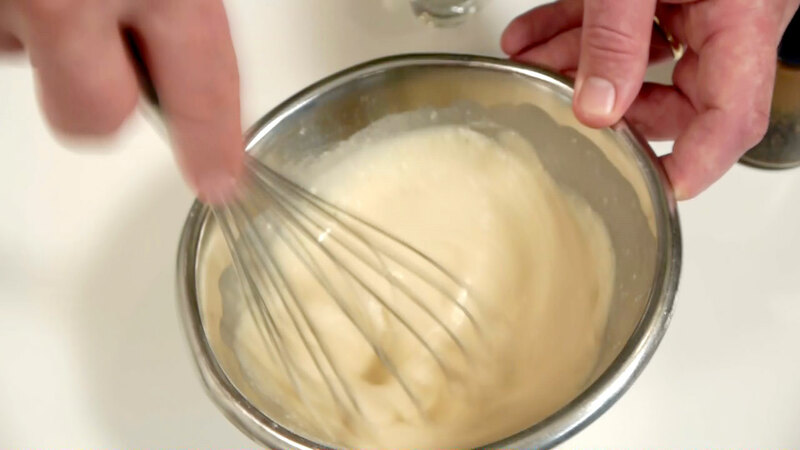 You can whip the egg whites white and fold them in at the end. This also makes the dough more airy. When I use it for double crumbing with both batter and breadcrumbs, I use no of the "airiness tricks". I just mix the ingredients as it says in the recipe. 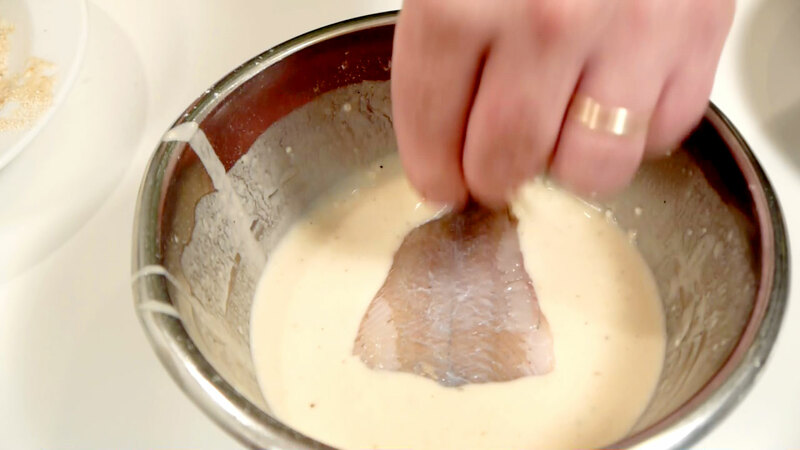 The batter works just as well for prawns, shrimps, vegetables, Thin slices of chicken breast (nuggets), schnitzel, squid rings, etc., etc.